Couldn't have asked for more beautiful weather. It rained Friday night into Saturday then the sun peeked out in the afternoon. Sunday the air was clear and crisp thanks to the previous day's rain and the cool breeze. Saw Nights in Rodanthe with my MIL and SIL. It was good. Not great, but better than just ok. At the very least, entertaining and a workout on tear ducts. If you're susceptible to that. Did you see Diane Lane and Richard Gere in Unfaithful? So different from this one. I've been learning how to make a basic potholder. I got the instructions here. I didn't know how to do a blind stitch but I easily learned after watching a tutorial on youtube. I love the internet. Since the weather is cooler, I felt like making comfort food. 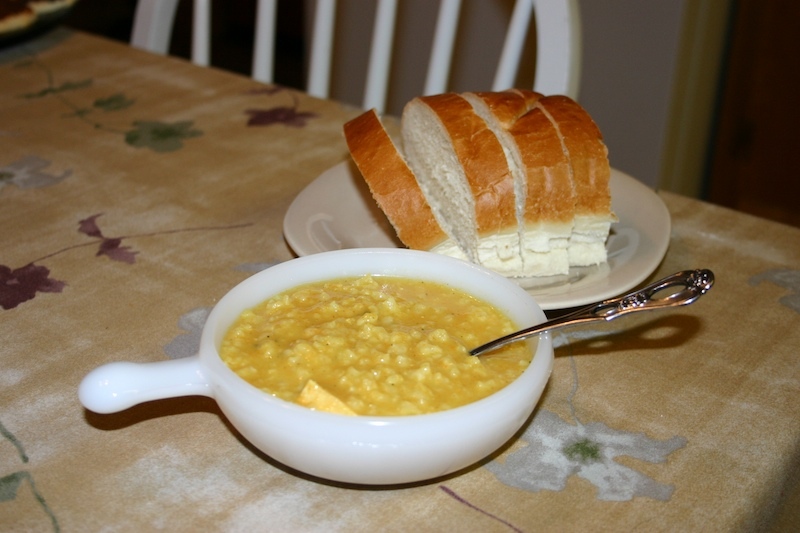 Have you had heard of Mulligatawny soup? The first time we had it was at the Spaghetti Factory. It's served every Thursday at lunch. I needed to find a recipe and the one I finally ended up with is a combination from one I found on allrecipes.com, one I found in Cooking Light magazine and making substitutions that suit our tastes. 1 cup milk - nf is fine and what I usually use but use whatever you want including 1/2 and 1/2 if it suits you. -heat oil in large stock pot and add veggie puree, cook for a few minutes. -add curry powder and chicken stock. Mix well and bring to a boil. Simmer about 1/2 an hour. -Add rice, chicken, salt, pepper and thyme. Simmer another 1/2 hr or until rice is done. -or- Simmer 2 hours for rice to thicken and become more 'hearty'. -Add milk and apples, simmer 5 minutes. Serve. If you'd prefer your veggies chopped instead of pureed, then sauté veggies in oil for 5-10 minutes. Add 3 T flour and the curry powder to the veggies and sauté 5 minutes. Then add the chicken stock and continue on with step 2 above. You'll need the flour to thicken the soup. This makes a lot. You can 1/2 the recipe, but we like the leftovers. You are too friggin awesome! I'm going to try that recipe! 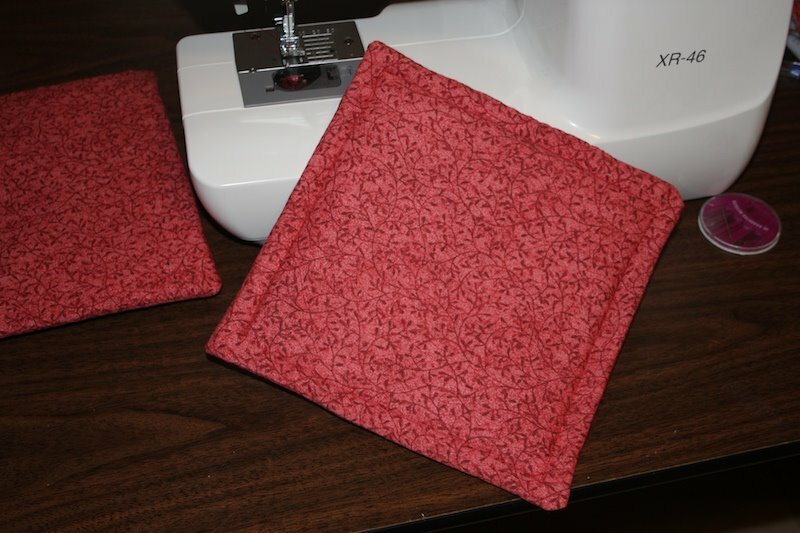 I just took a sewing class and learned to use my machine! I'm so excited! I hemmed some jeans and will probably make a bunch of tote bags! Just gotta learn to sew in a straight line! A love that Seinfeld episode! MMMM soup! Soup is so JUST RIGHT now that the weather has started to get chilly.... well, not where you live but certainly where I live! I had some leftover cooked turkey last week so made a huge pot of veg soup by throwing in just about every veg I had in the fridge then added spices and herbs and the diced turkey....mmmm it was THE BEST! And I didn't even need a recipe! Wow, aren't you domestic. Pot holders, soup. . . can I come live with you? And the Seinfeld stuff cracked me up. I love your potholders. I'm glad you liked the tutorial and congratulations on learning how to sew. 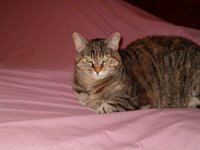 Your pillows are lovely! 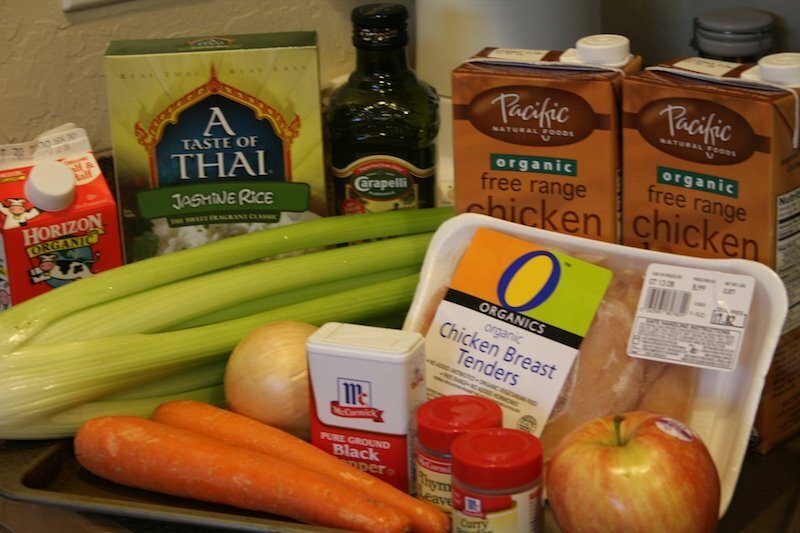 Minus the chicken, this recipe rocks! Im totally into soups now that the weather has turned cold. I am stuck on lentil soup....but I might try this recipe.